THE GUARDIANS ARE DONE GUARDING THE GALAXY, YES? 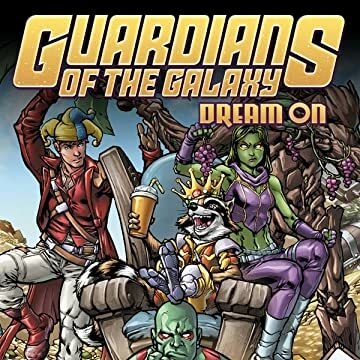 When one of the galaxy's greatest bounty hunters targets the Guardians of the Galaxy, it's lights out for STAR-LORD, GAMORA, DRAX, ROCKET and GROOT! 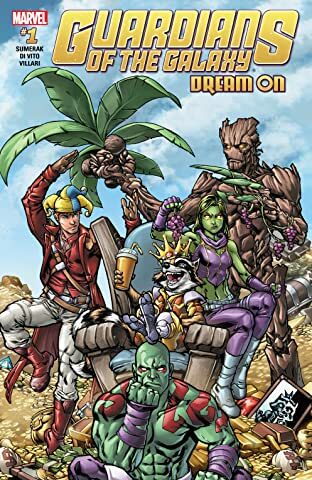 But if DEATH'S HEAD can make their dreams come true, will the Guardians fight back, or go along with his crazy plan? They might…especially if it leads to the destruction of THANOS once and for all! Also included - a special presentation of GUARDIANS OF THE GALAXY (1990) #1, featuring the first appearance of Taserface!